The Catalonia region, in northeastern Spain, is known for the lively beach resorts of the Costa Brava, the Pyrenees mountains and as home to surrealist artist Salvador Dalí. The coastal resorts with their abundance of hotels offers school groups a great value base from which to explore both Barcelona, the regional capital, and the surrounding area. 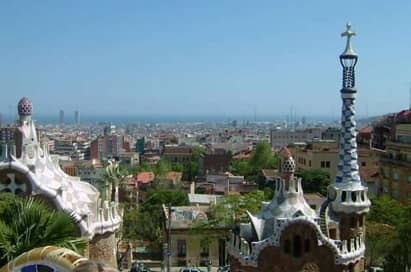 While a visit to Barcelona with its art museums, historic monuments and distinctive Gaudí landmarks is sure to be the highlight it is worth venturing further a field to get a true feel of this distinctive region with its own identity and language. 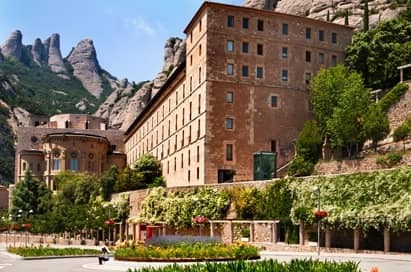 Visit the spiritual centre of the region Montserrat with its dramatic setting and stunning views, or the walled old town of Girona and the Roman amphitheatre at Tarragona to understand the regions rich and diverse history. The surreal can be explored at the Dali museum in Figueres and for those looking for thrills and spills Port Aventura, Spain's most visited theme park, is also to be found in the region. No visit to Catalonia is complete without a visit to the vibrant Catalan capitol. Students can experience and evaluate areas of urban growth and regeneration at the Olympic Village or the regenerated Port Vell area. Include some of its iconic sites, the Gaudi cathedral or Nou Camp Stadium or simply stroll along las Ramblas to make a memorable day exploring this vibrant, colourful city. 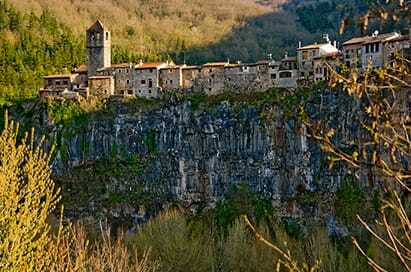 Garrotxa Natural Park is an area of outstanding natural beauty covering 120km2 and is renowned for its biodiversity. It contains some of the most interesting volcanic landscape in Europe. There are thirty Strombolian volcanic cones, most of which are visible and contain cinder material, and over twenty unusually constructed basaltic lava flows. In addition, the area’s moist Mediterranean mountain climate has contributed to lush vegetation and a spectacular landscape. The volcanic cinder cone of El Croscat is entirely covered with vegetation with the exception of the formerly quarried area that takes a slice out of the volcano and reveals the inner structure, composed of layers of tephra and volcanic bombs. The area is protected to prevent further erosion and guarantee public access for educational purposes. There is a visitors information centre with an exhibition. Access is free but must be accompanied by a qualified guide. 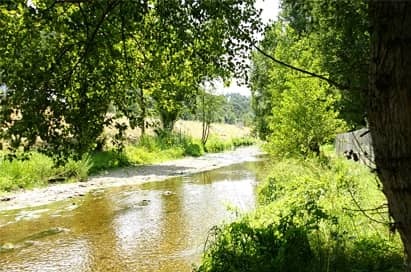 Tordera River Basin is a non-regulated river basin and presents typical Mediterranean conditions with a high environmental diversity, ranging from the mountain tops of the headwaters to the delta area where it meets the Mediterranean Sea. A day here visiting different sites along the river’s long profile will allow you to understand river processes and investigate channel characteristics like velocity, discharge, gradient and channel efficiency. 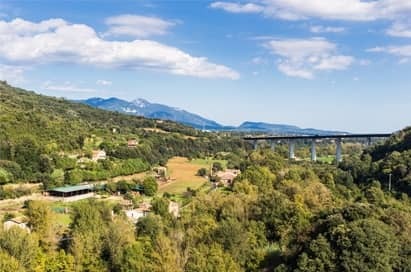 The small town of Castellfollit de la Roca rises up on a spectacular columnar basalt escarpment, 40 metres high and nearly a kilometre long that has been shaped by the river Fluvià. It is a spectacular study in the use of volcanic material in construction and of the way volcanoes have transformed the landscapes. Montserrat is one of Catalonia’s most important religious sites but is also a Natural Park. Made of conglomerate rock, the name means “saw mountain” in Catalan reflecting its distinctive serrated limestone pinnacles caused by erosion and weathering. A visit here can include a funicular ride to the summit or the Collbató caves inside the mountain itself.